Empower RF Systems offers a wide variety of power amplifiers as stand-alone or high power drivers up to several kilowatts. Radar applications include HF for over-the-horizon (OTH), VHF for very long range and ground penetration and UHF for very long range (e.g. ballistic missile early warning) and foliage penetration (SAR). 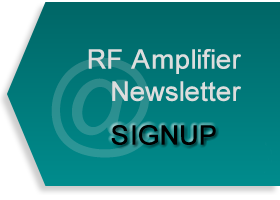 Empower has also provided amplifiers in L-band for long range air traffic control and surveillance (IFF) as well as S-band for moderate range surveillance and long range weather. Empower RF Systems utilizes the latest semiconductor technologies to provide high gain, high peak power capability, and pulse fidelity. Exceptional performance, long term reliability, high efficiency and sharp rise/fall times are achieved by employing advanced RF matching networks and combining techniques, EMI/RFI filters, and all qualified components. 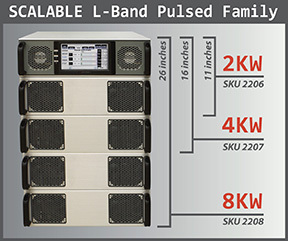 Our amplifiers are constructed of modular RF sections offered individually for size and weight constraints as well as in rack cabinets with power supplies to meet any power requirements. Systems have built in control, monitoring and protection functions and forced air cooling as required. Empower manufactures RF amplifiers to meet the environmental conditions of ground based, shipboard and airborne applications. 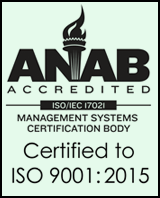 Empower RF's ISO9001 Quality Assurance Program ensures consistent performance and the highest reliability. Empower is a leader in Pulsed Radar Solid State Power Amplifiers and among the first to successfully employ LDMOS and GaN technology into these multi-kilowatt systems. Empower offers the latest, smallest, peak power amplifiers ideally suited for EW, Avionics, ISR, SATCOM, EMI Susceptibility Testing, Industrial/Scientific/Medical or Multi-Paction Testing. 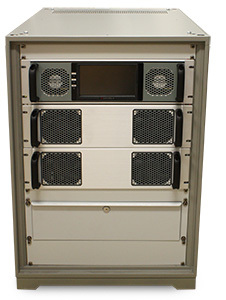 Empower RF Systems has extensive experience with Multi-Function, Highly-Integrated Assemblies. Customer-specific requirements are met by incorporating Integrated Filters, T/R switches, DC/DC Converters, Forward/Reverse Power detectors and RCV LNAs into the Amplifier. You buy only the power you need today and add power amplifier blocks later when your requirements grow. Adding 3U power amplifier blocks is accomplished easily and simply with no phase matching required Benefits of Scalability. 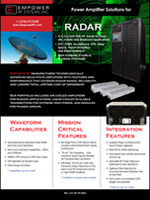 Empower RF Systems provides many of the shelf (COTS) solutions as illustrated here in capability spread sheets. We also can provide derivatives of these units to decrease NRE costs and shorten lead times. Empower designs and manufactures custom solutions to meet specific frequency and power requirements in addition to specialized packaging. Our core strengths reside in the 1MHz-6GHz frequency range with RF power outputs to 20kW.